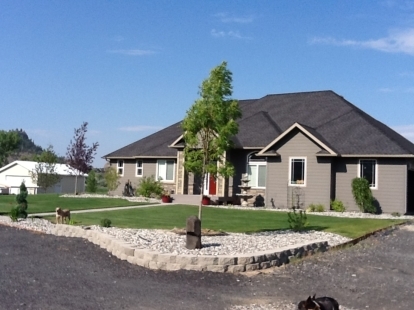 After building their house; these Customers designed and installed their landscape. An already beautiful area is enhanced and made "homey" with the use of trees along with the low growing shrubs. We like the rock and stonework accents, too. 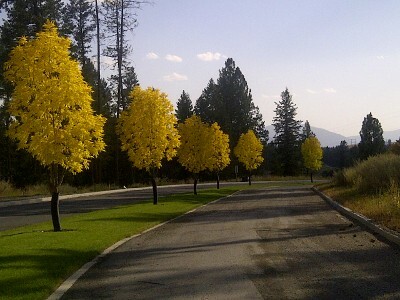 They also anchored and added height to the planted area with a beautiful aspen clump. That tree softens the Hardscape and notice; they left the soil around the rootball exposed for hydration. Excellent plan for trees and shrubs planted in rock landscapes. We think it was a great job Brian and Kelly! 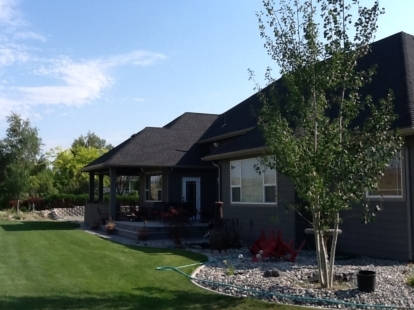 We enjoy receiving Customer landscape photos. 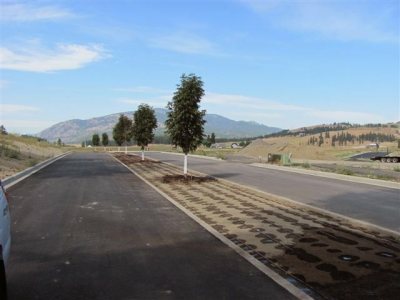 The creative ideas of how Customers incorporate our trees into their plan is always unique and interesting. Thanks to our Friends in Metaline for sending this picture of their Happy Trees in this beautiful setting. 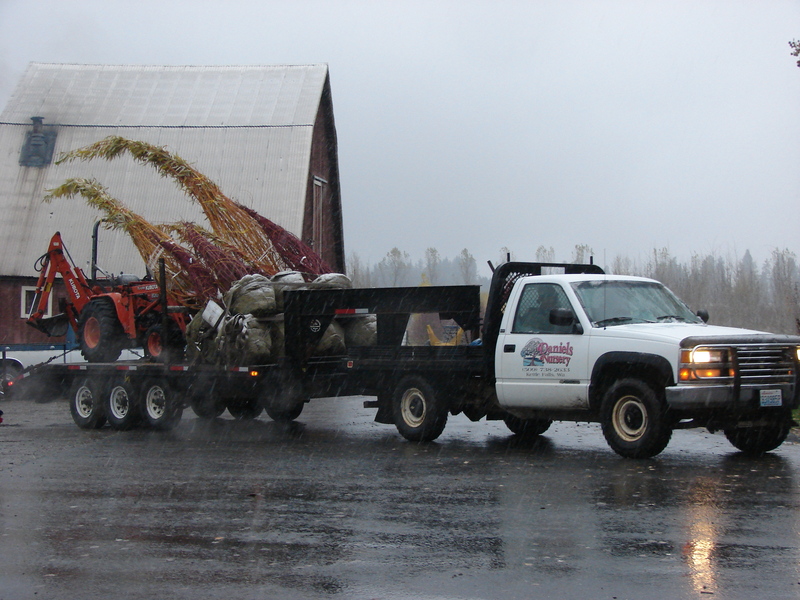 To make transporting and planting easier, the Daniels Nursery Landscape crew is available for hire. We offer local delivery service even up to Republic and over to Chatteroy! 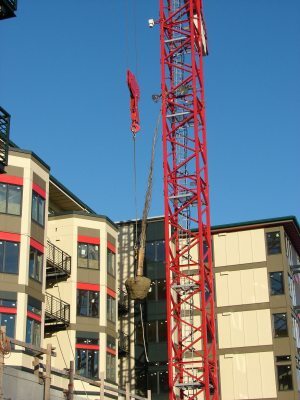 We can send a crew to plant your trees, assist with your landscape installation, and tree pruning projects. We also provide regular Lawn Maintenance Services. Please call for pricing. 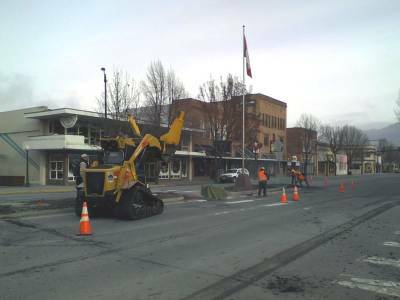 To make way for the angle parking in downtown Colville, we were hired to remove the existing trees in the center meridian on Main Street and transplant them up at Vaagen’s Park. 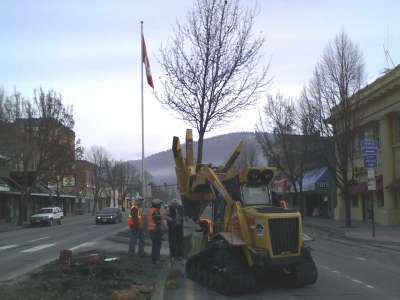 The job was a team effort involving the City of Colville Street Department and Daniels Nursery. Our trees are grown for higher elevations ~ but... really?! 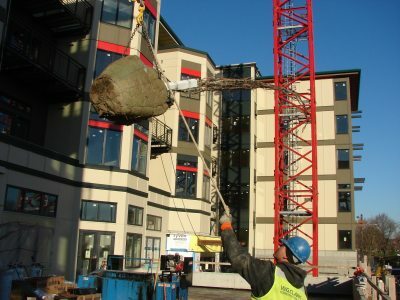 We shipped some Aspen to Seattle to ”landscape” a commercial building project on Capitol Hill. Daniels Nursery also grows plant material that is excellent for use in reclamation projects and for bank areas to help protect against erosion. 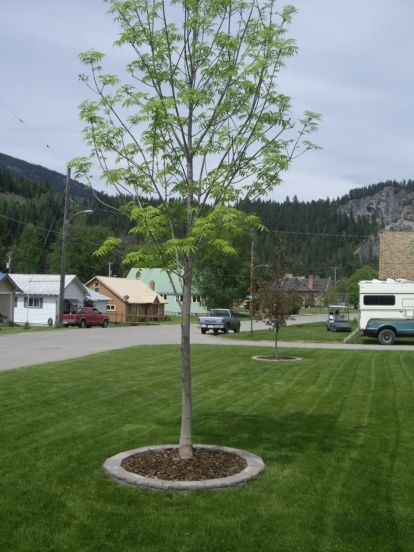 Consider Salix, Cornus, Populus Aspen and Syringa for these projects.